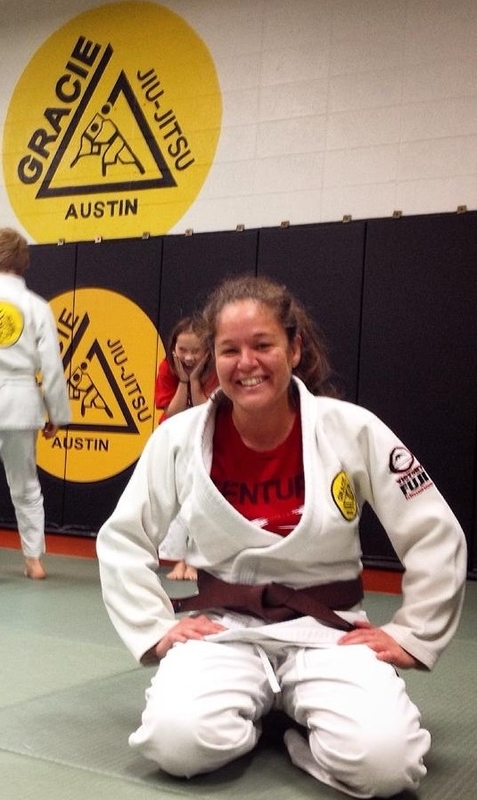 Indefinite hold; Shama Ko spent years working towards the culmination of one’s journey in BJJ, receiving the black belt, only to have her dream deferred by grand mal seizures (unrelated to training). A proud Gracie Humaita brown belt, she has but one more rung on the ladder. She is oh so close, yet so far. BJJL: Why BJJ….when did you start and how did you get hooked? Shama Ko: If you would’ve asked me 15 years ago I would have told you then I had no interest in martial arts. It took some convincing for me to change my mind. I had been exposed to Brazilian Jiu-Jitsu since 1996, but it took six years for me to try it out for myself. Under the guidance of some good friends I tried my first martial art in order to learn how to defend myself, but mostly I was looking for an outlet to get in shape. I started training Muay Thai in 2000. I enjoyed it, but it wasn’t enough for me. It wasn’t until a friend started teaching a women’s only Brazilian Jiu-Jitsu class that I was finally persuaded to try Brazilian Jiu-Jitsu. If not for her women’s only class I’m not sure if I would have been comfortable enough to take that first step. And so my journey began in 2003 under the instruction of Phil Cardella at Relson Gracie Austin. It wasn’t until I went through a really hard break up from a long term relationship that I started to really get “hooked” on Brazilian Jiu-Jitsu. I was devastated and heartbroken after the break up. I felt worthless, depressed and my self-confidence was in the toilet; but through Brazilian Jiu-Jitsu I found myself, my strength and realized my value. My addiction was taken to a whole new level once I started competing. That’s when I learned to really push my limits and realized what I am capable of. It was more than I ever imagined. BJJL: Who inspired you when you started and who still inspires you today? SK: When I first started training there was only a handful of female black belts to look up to. I remember watching a Brazilian Jiu-Jitsu video with a friend of mine and Leticia Ribiero was one of the athletes featured on the video. I was glued to the t.v. She was the first female black belt I’d ever seen and she was tough as nails. Instantly she became my hero and she continues to be today. There are so many people that have inspired me along the way and touched my heart. I have been very lucky to have meet so many people that continue to inspire me and enrich my life. Most inspiring are the women of the Yvone Magalhaes Duarte, Leka Vieira, Hannette Staack and Leticia Ribeiro generation. They were pioneers and true warriors. They were bold and brave. They fought against the norm and dealt with the resistance of not taking on the traditional role of a “women” during that time in South America. They have paved the way for all of us. The struggles they endured in a lot of ways has made it easier for us. And most importantly they have given us strong role models to look up to. We would not be where we are today without them. BJJL: What was your very first competition like? SK: My first competition was nothing like what you see today. I only had two girls in my division and none of us were the same weight or belt. This was a fairly common experience when competing back then. I was lucky to even get a female competitor to show up. I quickly learned that cutting weight for local tournaments was absolutely pointless. The only time I really had an opportunity to compete with someone my size and belt was at the first IBJJF World Championships in California. Back then the divisions we’re not nearly as stacked as you see today. Purple, brown and black belts were still together in one division because there just wasn’t enough girls competing. Thankfully by the time I got my purple in 2007 the purple belts finally had their own divisions. I was among the first group of girls to fight in the purple belt division. It has truly been amazing to see the female divisions grow and the progress that women have made in the competition scene. 12 years ago nobody was even talking about equal pay for BJJ or supporting women’s BJJ. The times have certainly changed. BJJL: You had to stop competing due to an injury a few years ago…what caused this? SK: I was an avid competitor from 2004 until 2011 when I sustained a knee injury during competition. I should have stopped training but I thought it was just some minor injury that would heal on its own if I took a small break. I continued to train and re-injure it for close to a year. It turns out I had torn 90% of my meniscus and a separated ACL. If I had known this I would have stopped training sooner but how could I? I did not have insurance when it happened and was considered uninsurable due to it being a pre-existing condition (before Obamacare). That knee injury took me out of training for almost 3 years. I was devastated when I realized I had to stop training and competing. I felt like I lost a huge part of myself, my identity, my purpose and passion. I had worked so hard and was on my way up. I finally started to win big. My life and identity was being a competitor. My whole life revolved around training full time. I had big dreams for myself as a competitor. I realize now this was just a beginning of a new chapter in life. I was destined for something even bigger, something more valuable than any medals I ever earned or could have earned. BJJL: Girls in Gis…you are the glue that holds the organization together…after almost 6 years how has the mission and vision evolved and where would you like to see the organization in the next 5 years? SK: The concept of Girls in Gis was developed to unite and help grow the community of females in Brazilian Jiu-Jitsu. We started with fifteen girls at our first event and now we have events in five states and average around 50-130 participants at each event. This is only the beginning. As we have grown our purpose has not changed, we have evolved while maintaining true to the cause. This is a movement that is only gaining more momentum. We have come a long way, but there is always room to do more and impact more lives. We have seen a tremendous impact in our chapters and we will be rapidly expanding to open more chapters in the next year. We also have a lot of projects in the works right now that will deeply impact and serve the community on a whole new level. I am very excited to see what the next five years will bring. I have had so many ideas for years now that are finally starting to manifest. It is going to be amazing! BJJL: You received your brown belt in 2014 and then your dreams were once again deferred. Tell me about your first seizure. SK: I spent 6 years as a purple belt. There were so many highs and lows and lessons learned in that time. During that time a lot happened. I changing teams and was out for almost three years with an injury. My years as a purple belt were some of the best years I ever had. I got to compete with legendary female black belts as a purple belt. I watched my generation move on into their brown and then black belts. I won’t lie it was hard being left behind. The day I earned my brown belt was bitter sweet. I was so attached to my purple belt at that point I wasn’t ready to let go. I was also very excited to start the new chapter and new phase of my journey. It was surreal to finally have that new belt wrapped around my waist after all those years of wondering when it would come. 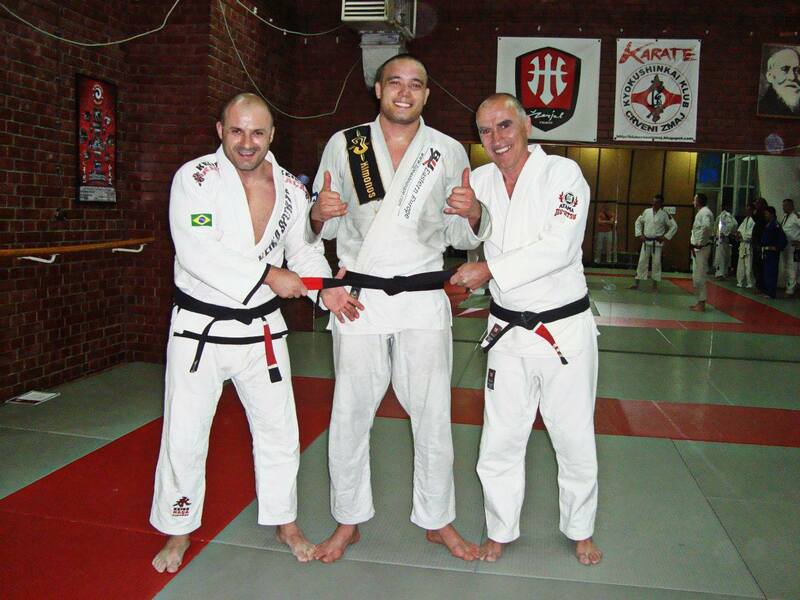 I was really only brown belt for three months before I collapsed during jiu-jitsu and had my first grand mal seizure. You can only imagine the disappointment I had knowing that I would be out of jiu-jitsu for an undetermined period of time again. I had never had seizures before. It was an ordinary jiu-jitsu class. It was right at the bringing of class and we had not even done a warm-up. All of a sudden my body started convulsing. I spun and dropped to the mat. I screamed out “Oh my God!!! Help!! !” Then it want black. I remember my last thought being at least I died doing what I love doing. It could not have happened at a more perfect time and place. I was with my Gracie Humaita family and fell on the soft mats. My team responded promptly to making sure I was okay and safe. I woke up completely disoriented with the EMTs standing over me. I don’t remember much, but my teammates told me that after I stop convulsing I opened my eyes and I smiled. Perhaps I was happy to know I was still alive. BJJL: You had a seizure one day and they have not stopped. Explain how this has affected your day to day routine. SK: My life has been turned upside down and inside out. I am not able to live the same life I was living before this all started last October. Maybe that is a good thing. Those that know me, know I was the type of person that could not sit still. I was constantly on the move. Life slammed the breaks on me when I was running at full speed. I went from 100 MPH to zero. I could not function for months. I led an extremely active and busy lifestyle. I traveled non-stop on a weekly basis between running my photography biz and for Girls in Gis. I worked 10-12 hours a day 5-6 days a week. Now I am not even half the person I used to be. I am lucky to work a few hours a day, 2-3 days a week and it has taken me months to get here. I am suffering from a lot of other symptoms that make it difficult to live a functioning life. BJJL: Has there been an explanation regarding the onset of your seizures? SK: I have seen more specialist than I can count. I’ve gotten a handful of diagnoses. Texas doctors thought it was one thing, Hawaii doctors think it’s another. I’ve tried a few drugs. Some made it worse, some didn’t do anything. I am hoping we have the right cocktail going now. My fingers are crossed. The only thing they can confirm is that I do have two birth defects or malformations. One is called Polymicrogyria the other is Gray Matter Heterotopia. Both I have had all my life, but as to why I am having symptoms now in my mid-thirties is the mystery. Seizures are just one of the symptoms I have been experiencing so I know it has to be more than just epilepsy. I strongly believe that something else is going on. That is why I continue to explore all options in search of answers. I know I am getting closer. I don’t give up that easy. I will get to the bottom of this. BJJL: Now, you got sick and the BJJ community rallied around you, how did that make you feel? SK: I was overwhelmed by the love and support I received. I don’t think I have ever felt so loved before in my life. It was more than I could have ever imagined. Everyone was so willing to help me when I needed it most. Even people I had never meet before. It proved to me that we really are a strong, supportive, and loving family. I can’t tell you how much it lifted my spirits and that is so important when life is dragging you down. I am so very blessed and grateful for everyone’s efforts. I don’t think I would be as strong as I am now if not for the support I was shown. Some days are harder than others, but I know I have a lot of people cheering me on every step of the way. I find strength in knowing I am not alone in all of this. BJJL: Your overall prognosis, what does it mean in terms of you returning to the mats? SK: In addition to the seizures among other symptoms, I have been having chronic fatigue. If you knew me before all of this started, you know I am huge ball of energy that can’t sit still. For the past eight months I have struggled to get through the day. I am not the same person. However, I have had a lot of time to get to know my body and listen to the warning signs. I have been doing less combative exercise like walks, yoga and I just started having the courage to ride a bike again (of course with a helmet). I know I will be able to return to the mats, but I am in no rush. Maybe in the next few months, but for now I need to keep it mellow and be gentle to my body. That is what it needs and I know the mats will be there for me when I am ready. Now is not the time to push myself as I have in the past. BJJL: There are misconceptions that people have when it comes to seizures and training BJJ are there any you would like to dispel? SK: As a competitor I was always pushing my limits and not allowing myself to quit. I pushed too hard at times which led to injuries. This mentality has made me tough, but I face a different struggle now. I must really listen to my body, respect my limitations, and learn to find a balance. Each day I am listening and learning more and more, but it is not an easy task to find balance. So many people have reached out to me in the BJJ community that have epilepsy and they have been a huge source of support for me, reassuring me that I can and will be able to train again. Lots of people live normal lives with epilepsy and debilitating conditions. We all have “handicaps”, some are just more apparent than others. Regardless of what ours is it doesn’t mean we can’t live the life we want to. I would rather live the life I want to than live a sedentary life always wondering what if. I think that we are capable of doing anything we set our minds on doing. Fear and doubt are our biggest obstacles, but no obstacle is too big to overcome. 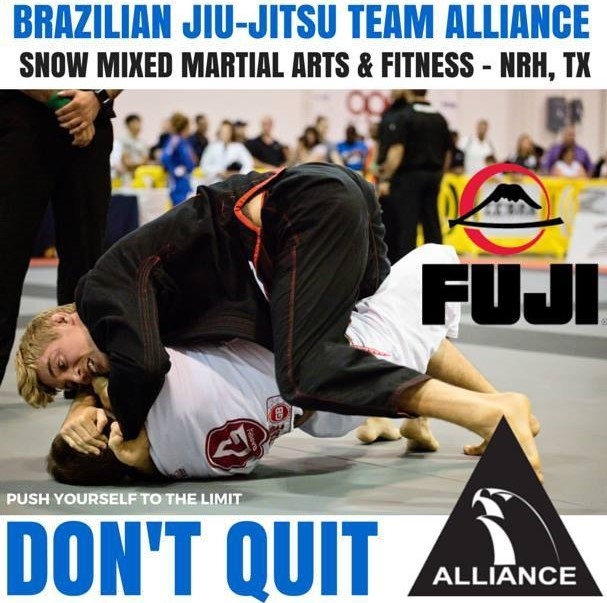 Your journey in BJJ is what you make of it with the hand you are dealt. Each journey is unique and tailored to the individual. Some have all the time in the world to train, train, train, and advance very quickly through the ranks. While others have limited time, must relocate frequently, and are plagued by injuries and illness. Ko has not let any of her challenges deter her. She continues to make the best of the hand she has been dealt. Her health is the most important thing right now but the mats are not far from her mind. Ko is down but never count her out.